What do you think of when you hear the brand name CHISHOLM for smokeless tobacco? I think of the Chisholm Trail, with cowboys snorting and chewing -- not the late Shirley Chisholm. The Board thinks otherwise. It affirmed a Section 2(e)(4) refusal to register the mark CHISHOLM for smokeless tobacco, finding the mark to be primarily merely a surname. In re Xcaliber Int'l Ltd., Serial No. 78360389 (September 15, 2006) [not citable]. Examining Attorney John S. Yard relied mainly on 6,132 listings from the USFIND database. 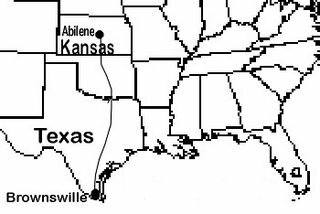 Applicant supplied information on two small towns named Chisholm, one in Maine and one in Minnesota, and submitted Internet web pages discussing the Chisholm Trail (a route used for cattle drives from Texas to Kansas during that late 1800s). The Board rejected Applicant's contention that CHISHOLM is a rare surname, "even if it is not as common as, say, Smith or Jones or Brown." 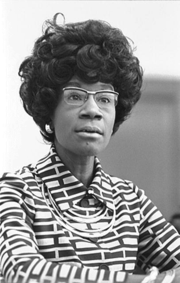 Moreover, "the renown of Shirley Chisholm as the 'first black woman elected to the House of Representatives' and a 14-year member of Congress, indicates that consumers would be more likely than not to perceive CHISHOLM as a surname." Applicant contended that the primary significance of CHISHOLM is the name of the trail, but the Board would not be driven in that direction. It agreed with the PTO that "the question before us is not the significance of Chisholm Trail but of CHISHOLM alone." In any case, the Board asserted, "even among consumers with a keen sense of history, who may think of the Chisholm Trail when confronted with the term CHISHOLM alone, these history buffs are also likely to know that the trail was named after an individual." [TTABlog comment: news to me!]. Thus the Board concluded that CHISHOLM alone has no non-surname significance. Finally, the Board found that CHISHOLM has the look and sound of a surname: "CHISHOLM does not have the look or sound of an initialism or acronym; nor does it appear to be cobbled together from terms or parts of terms with separate meanings." The Board therefore affirmed the Section 2(e)(4) refusal to register. TTABlog dissent: I almost spit out my chaw of smokeless tobacco when I read this decision. I think the Board erred in failing to consider the goods involved. 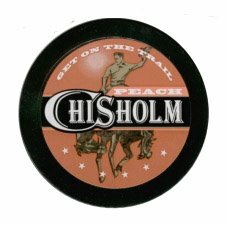 The question is not whether consumers perceive CHISHOLM as a surname in the abstract, but whether they so perceive CHISHOLM when used as a mark for smokeless tobacco. To me, a tobacco branded CHISHOLM evokes the old Chisholm Trail. And no, I didn't know that the trail was named after an individual named Chisholm. Furthermore, the statement that the renown of Shirley Chisholm "makes it more likely than not" that CHISHOLM would be a surname is simply unsupported. With all due respect, where's the proof that Shirley Chisholm, who has been out of the limelight for 30 years, is still a person of such renown?